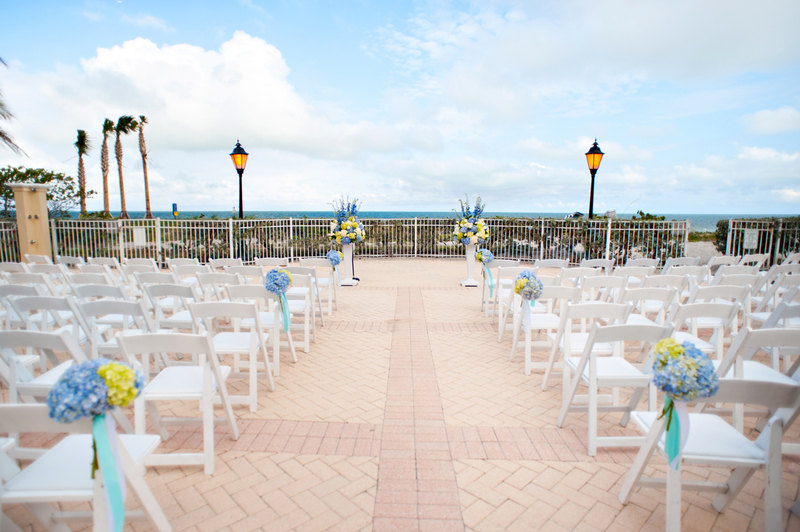 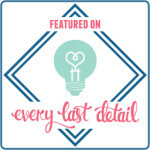 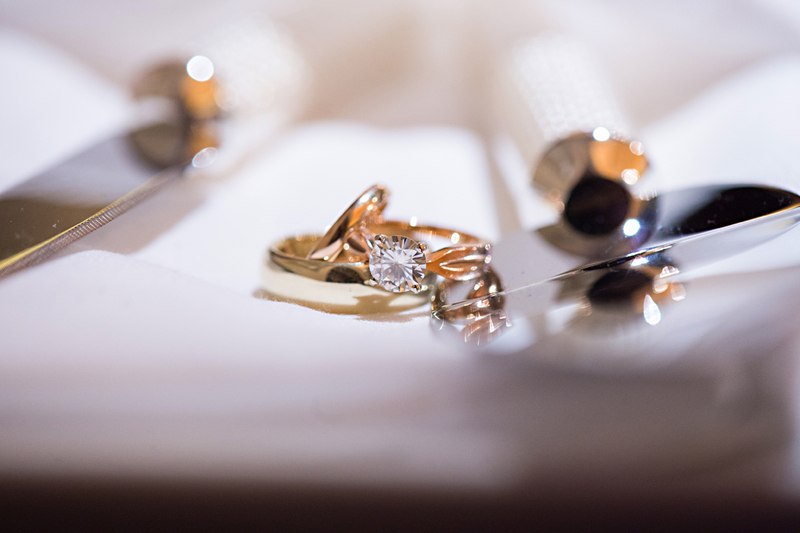 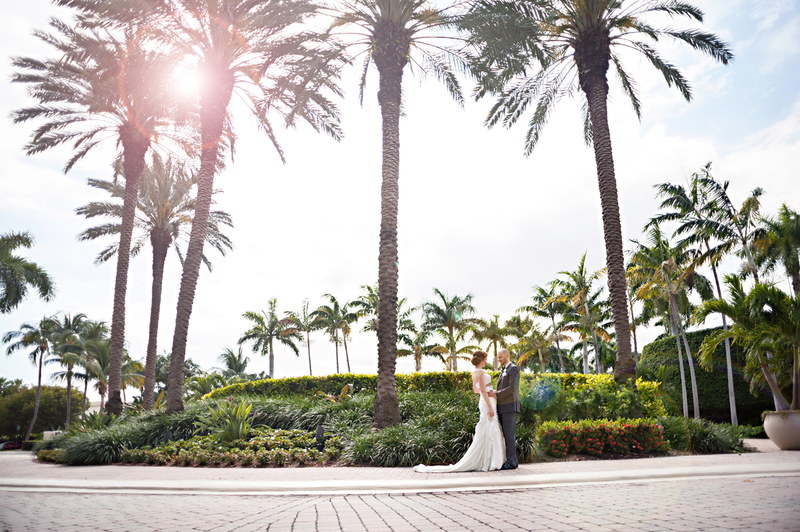 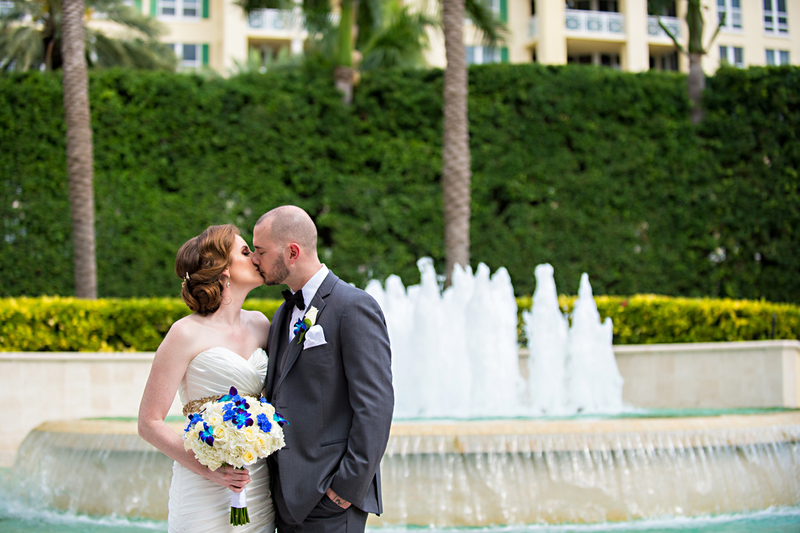 When I was first approached by Lydie and Jason to help create their dream Grand Bay Club Wedding, I was instantly excited by all their ideas. 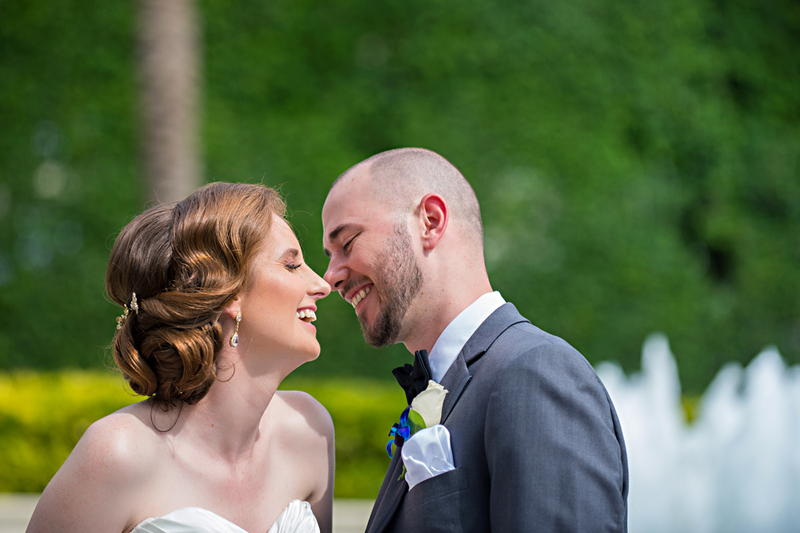 They are such a fun-loving couple and were up for anything. 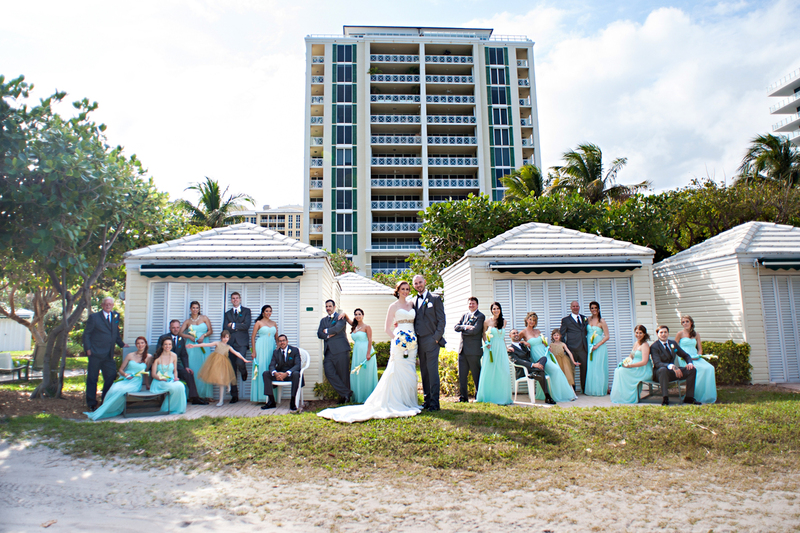 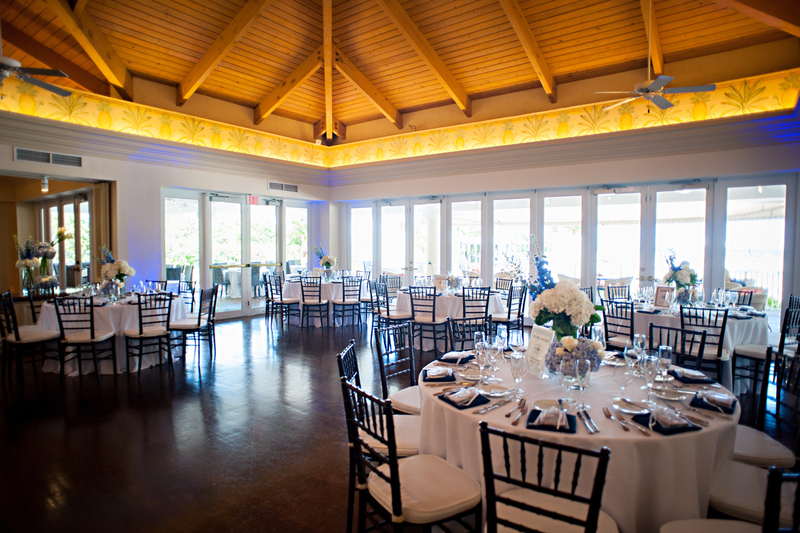 The Grand Bay Club was the perfect blend of laid back elegance. 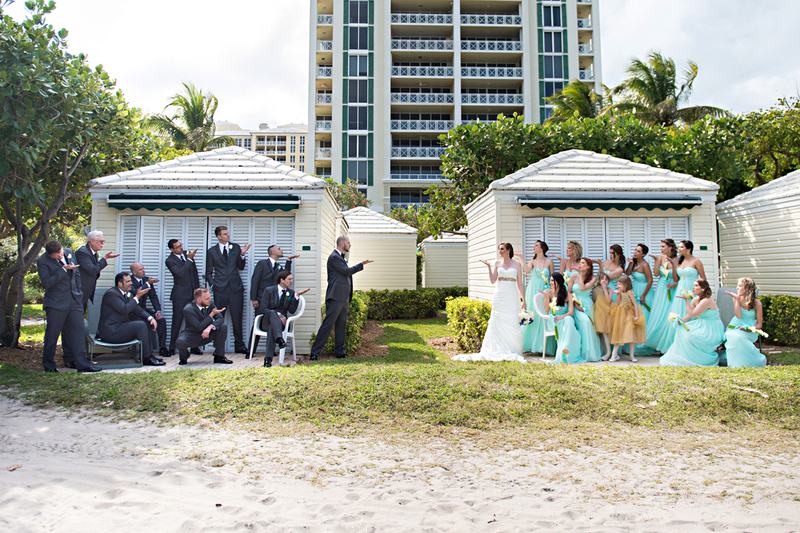 Poised on the beach in Key Biscayne, they had the stunning beach views without having to put their toes in the sand. 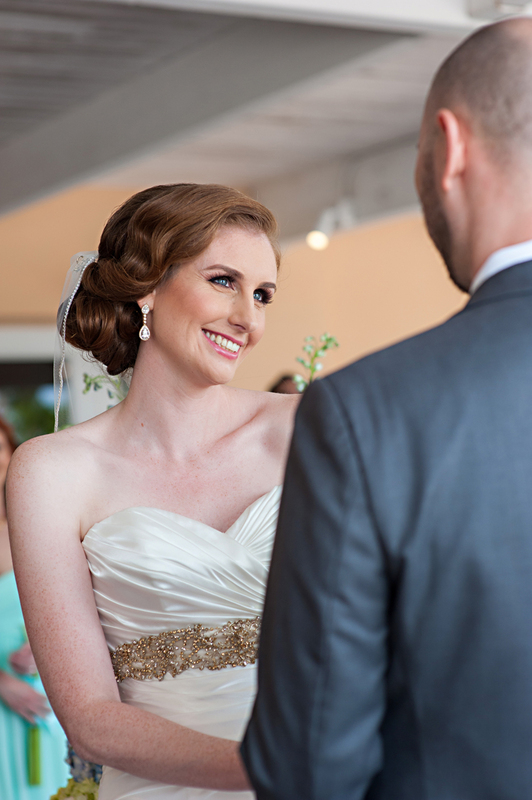 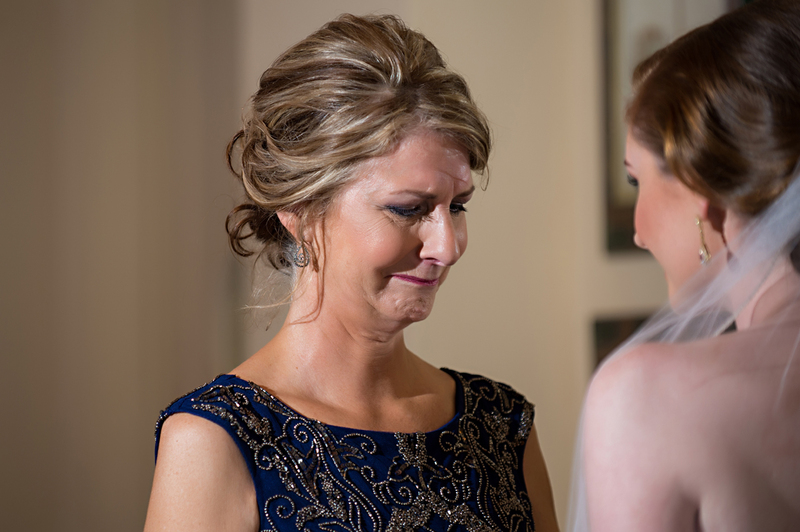 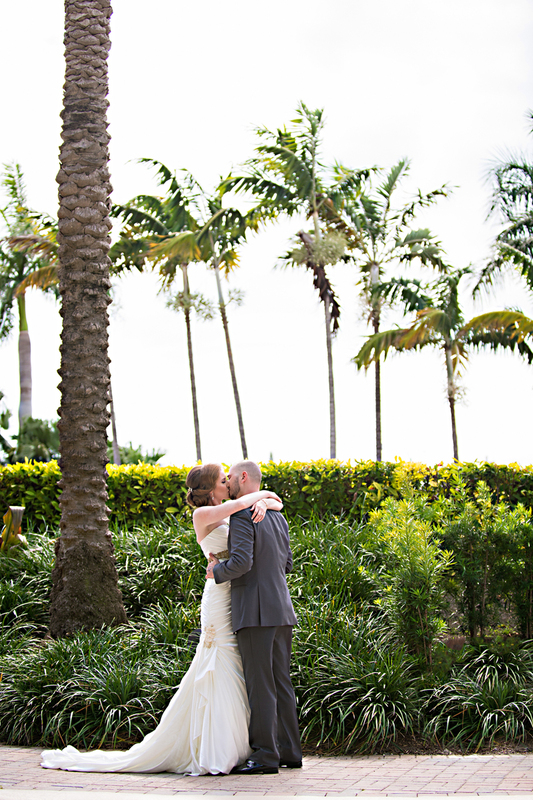 Lydie and Jason opted for a First Look in order to be able to spend all their time post-ceremony with their guests. 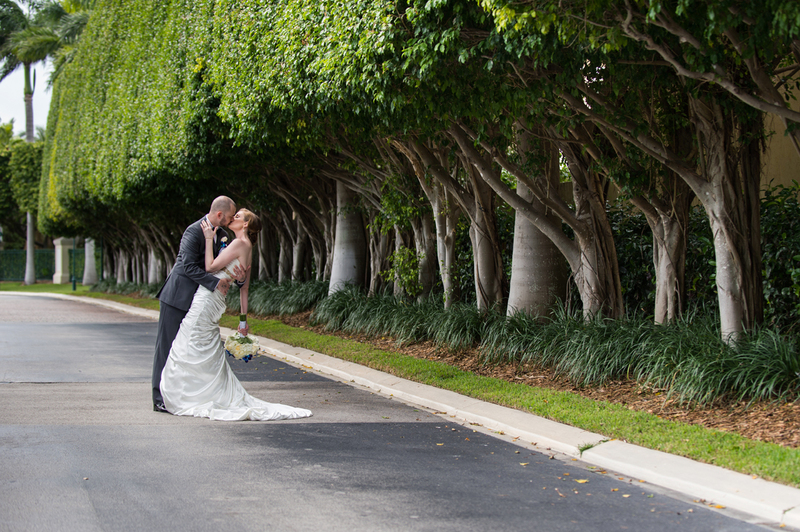 It worked out perfectly since Mother Nature shared a little rain shower during and immediately following their wedding ceremony. 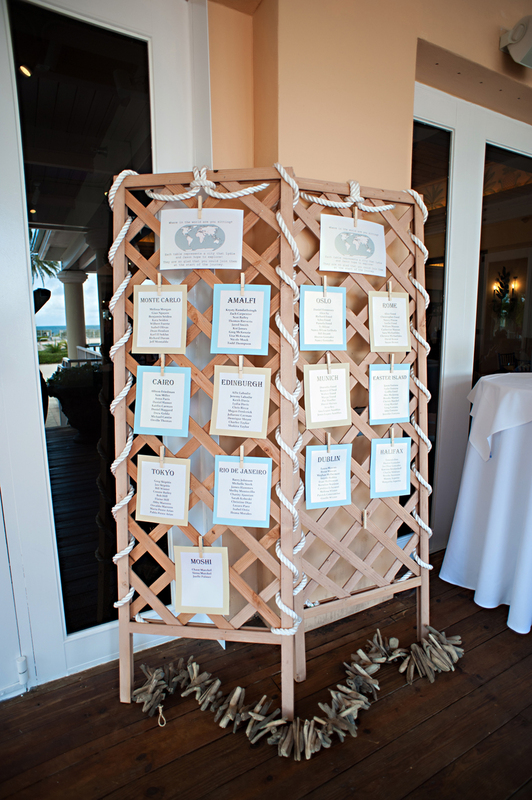 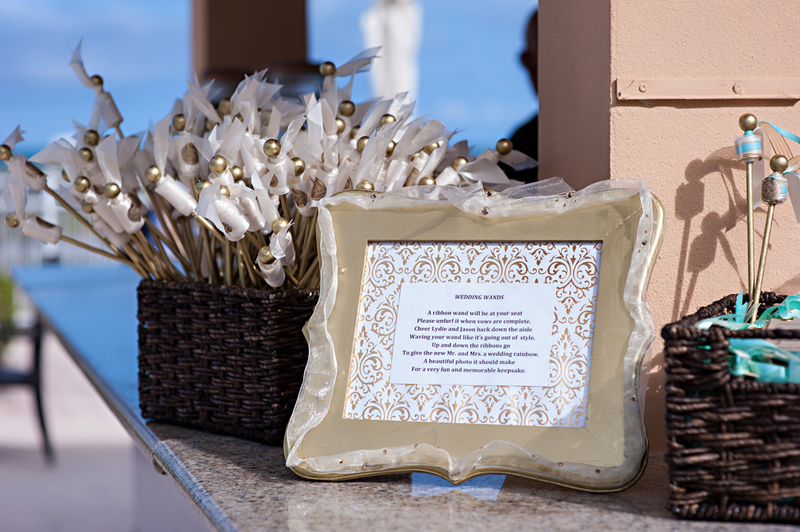 The reception was inspired by the colors of the beach. 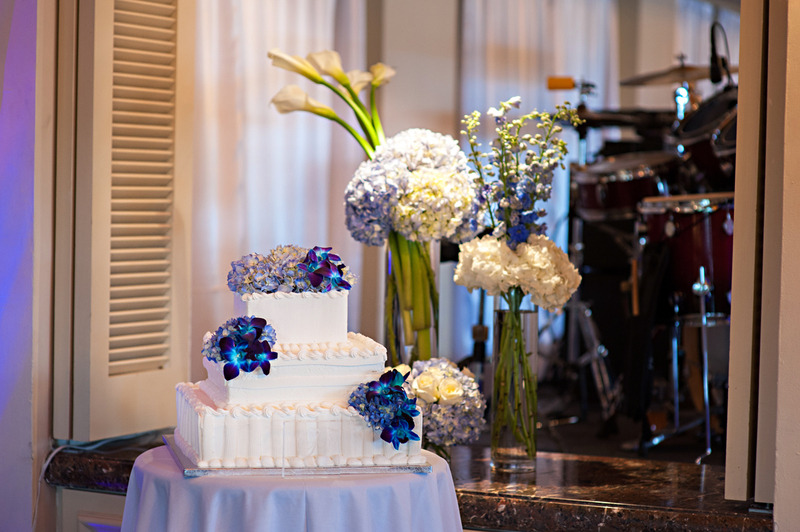 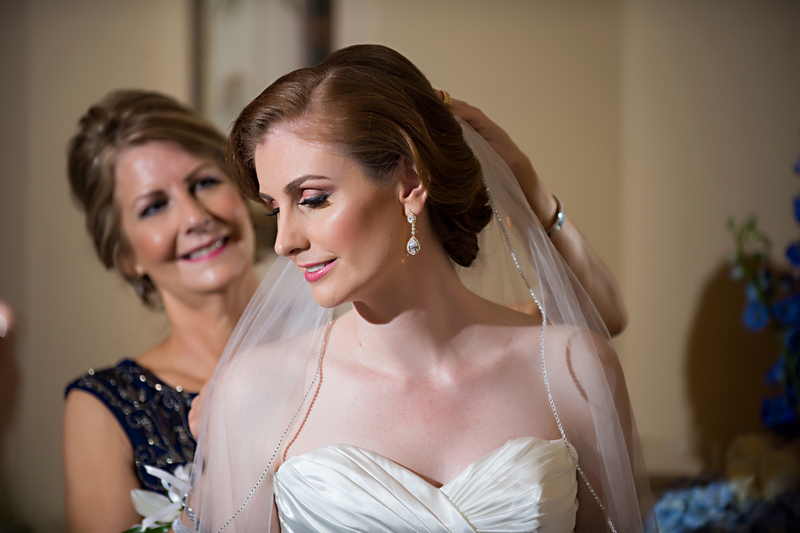 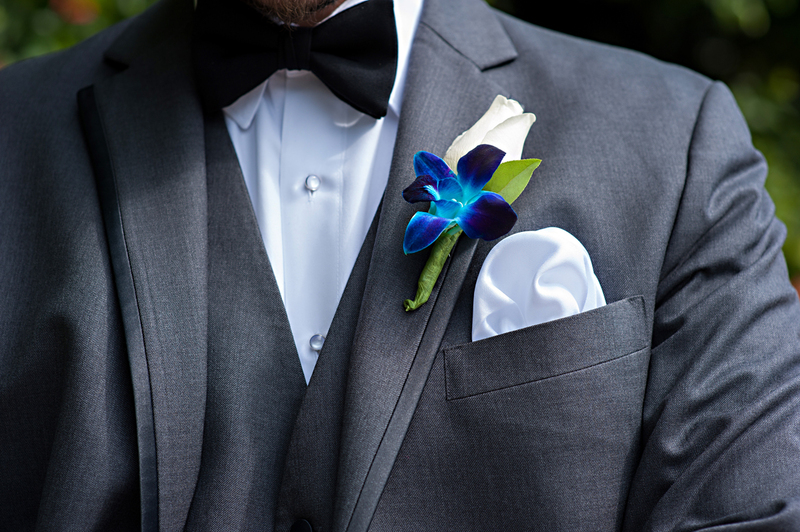 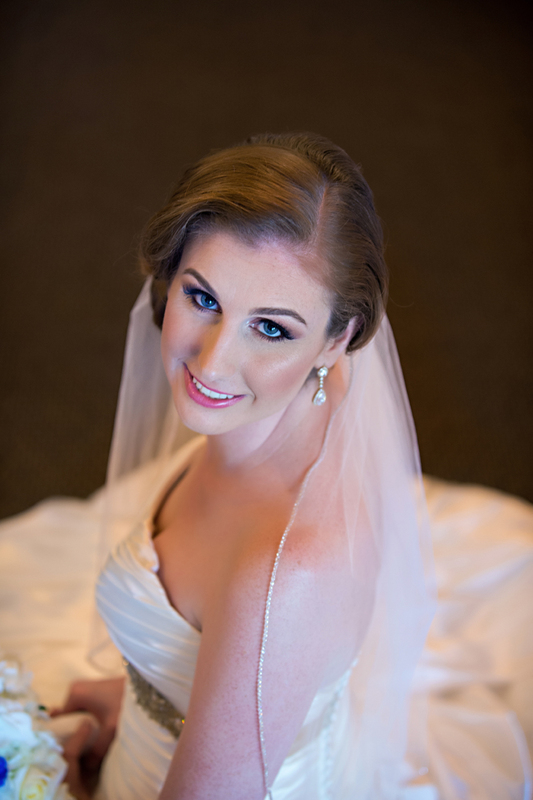 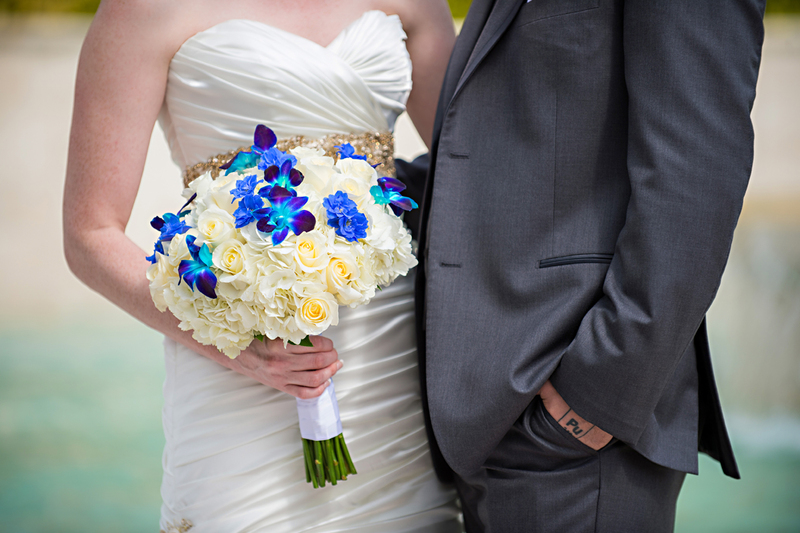 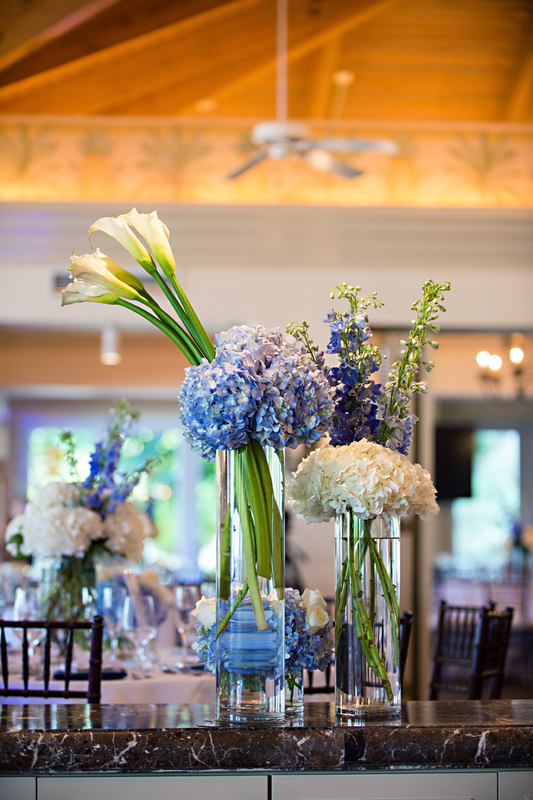 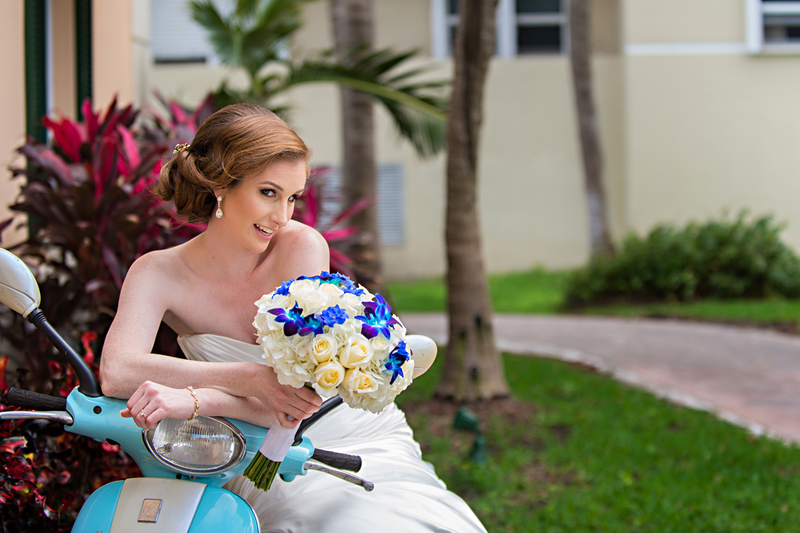 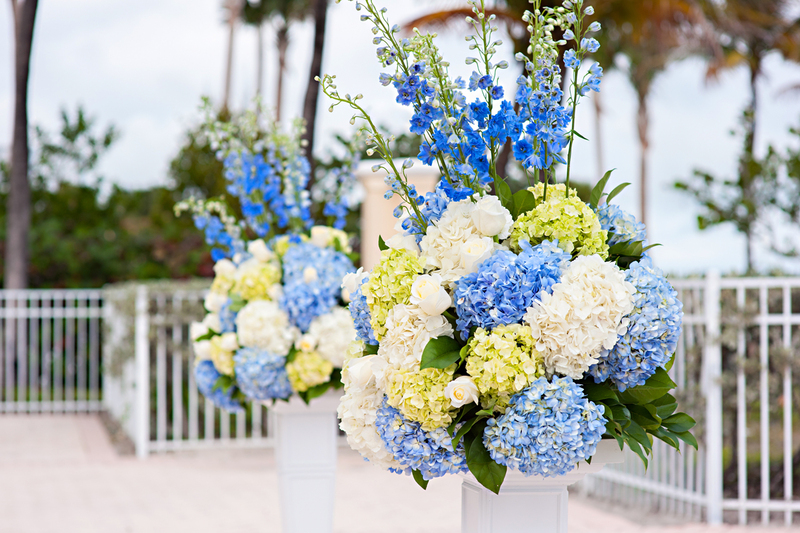 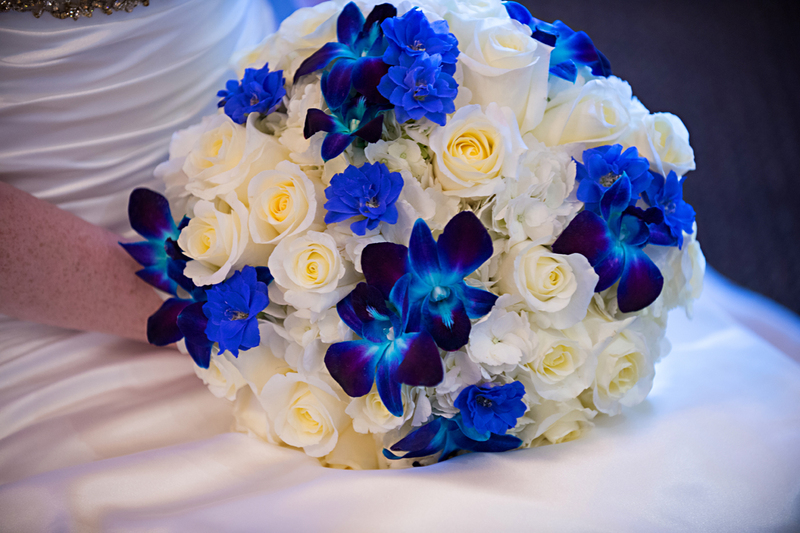 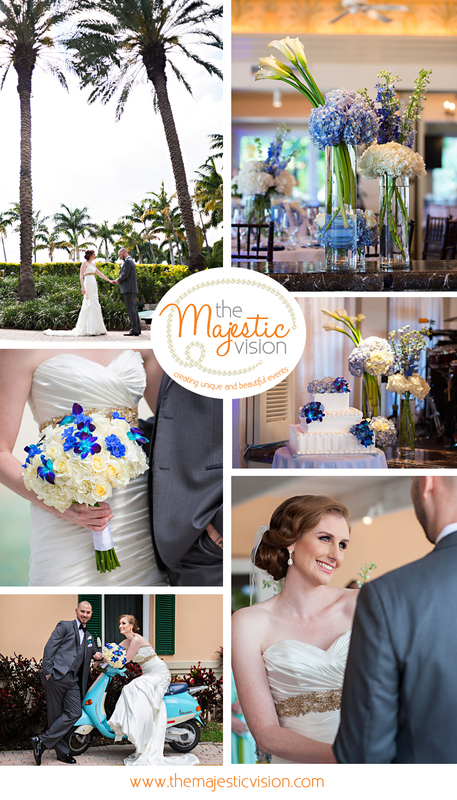 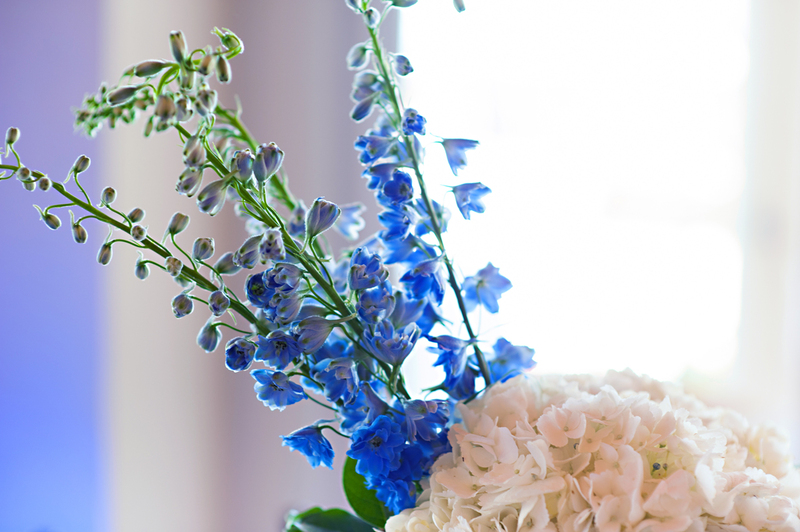 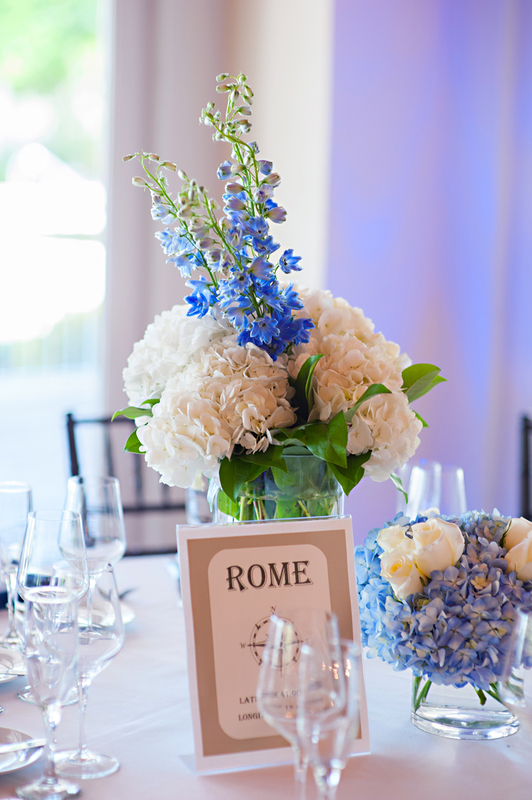 Blue orchids, white hydrangea and white roses were found throughout. 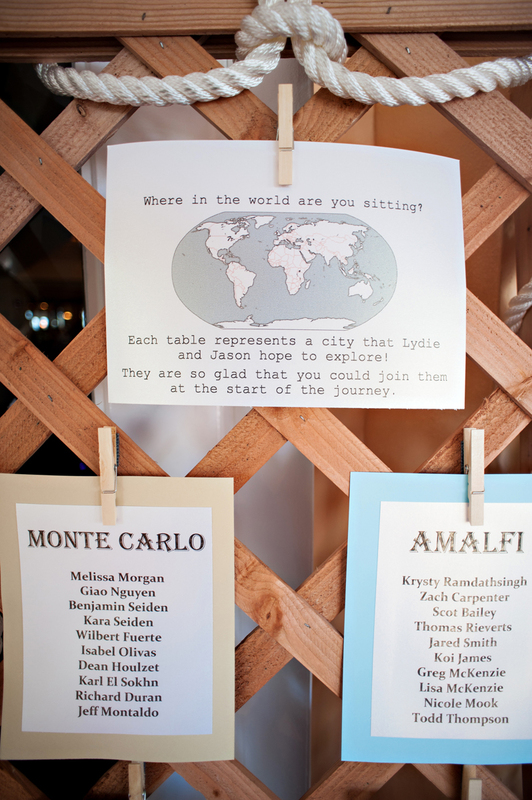 In a fun twist, Lydie and Jason named each table after a city they would like to visit as a couple. 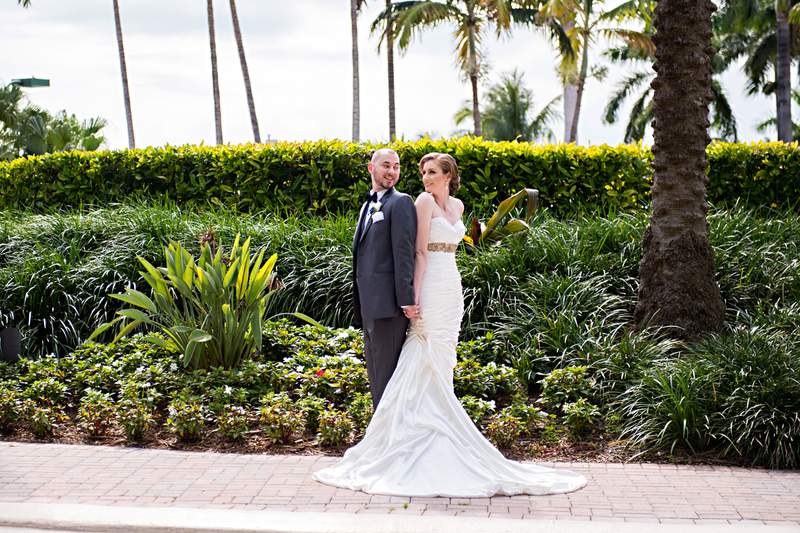 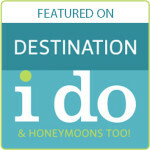 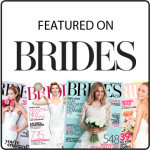 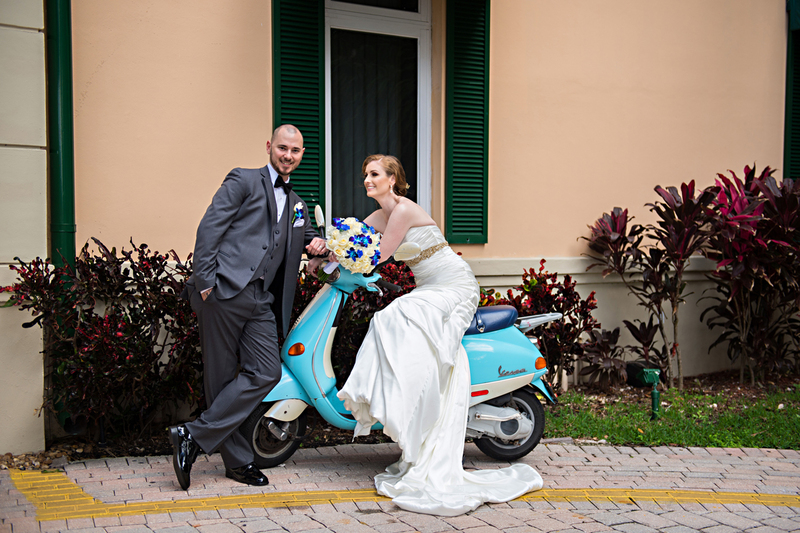 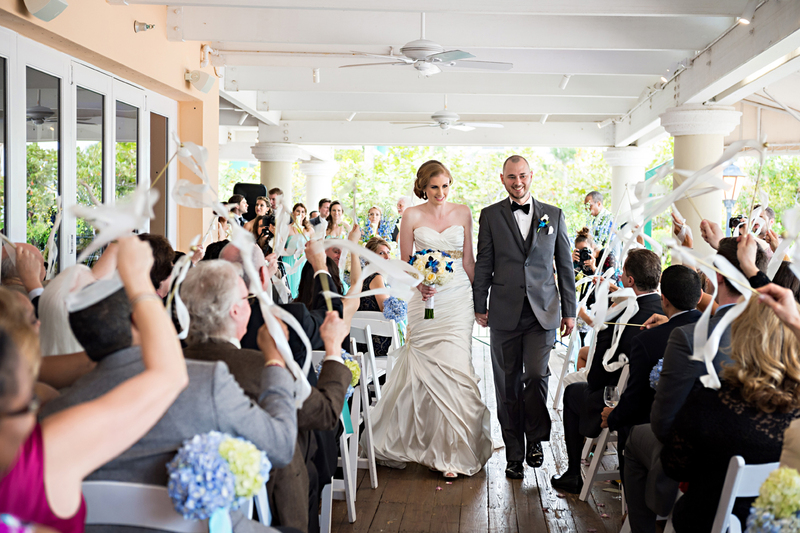 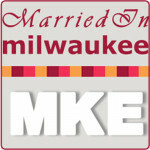 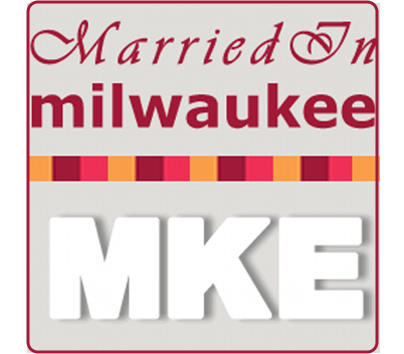 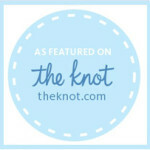 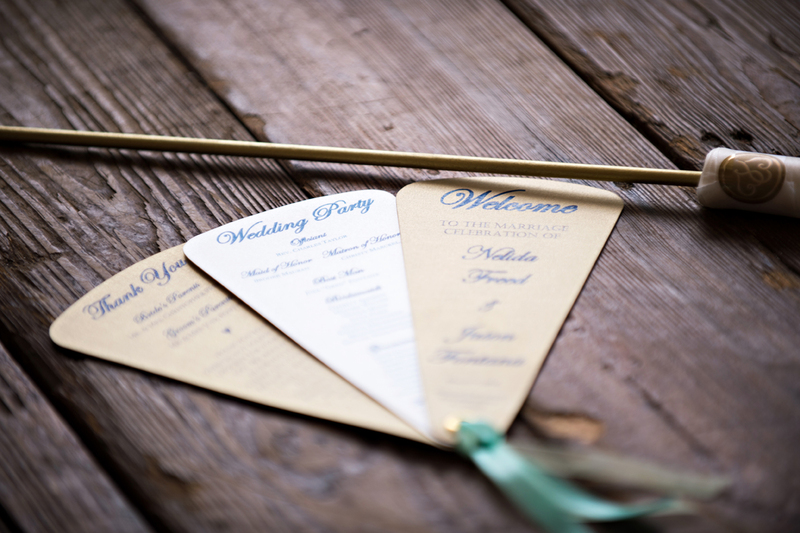 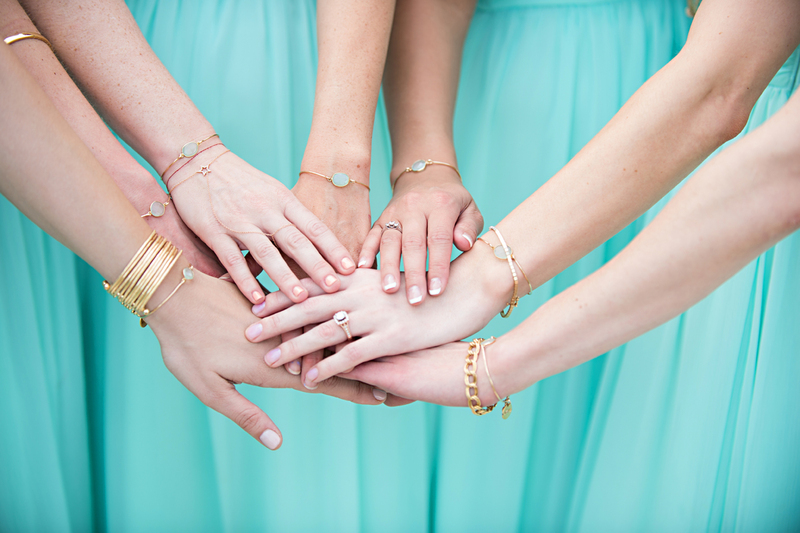 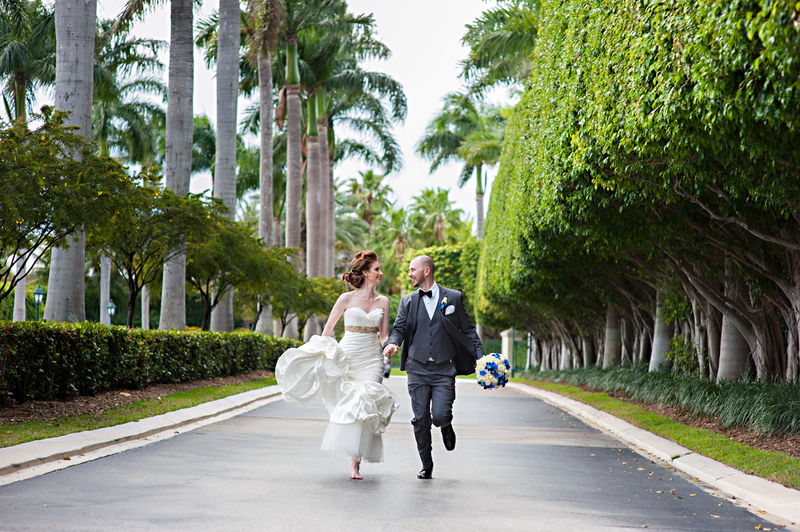 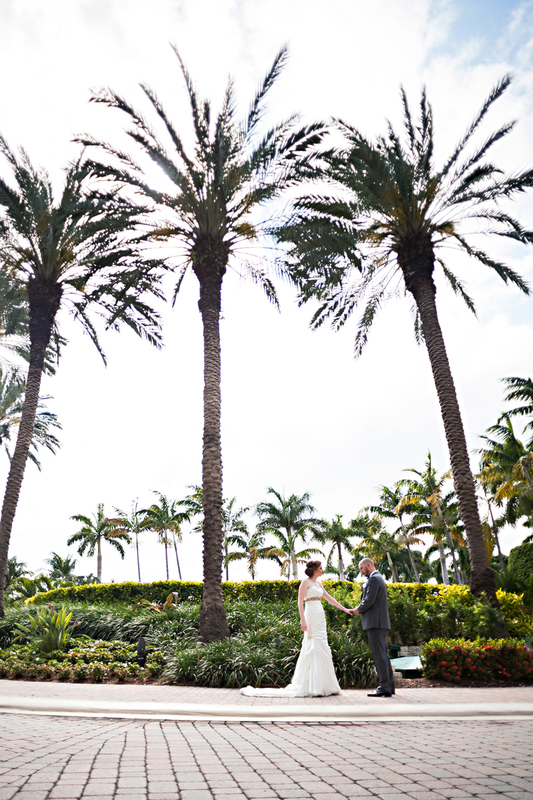 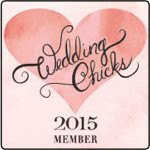 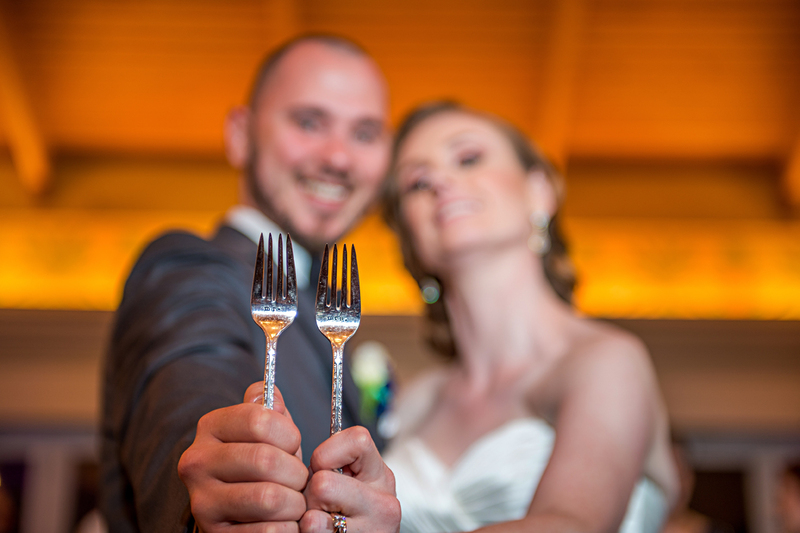 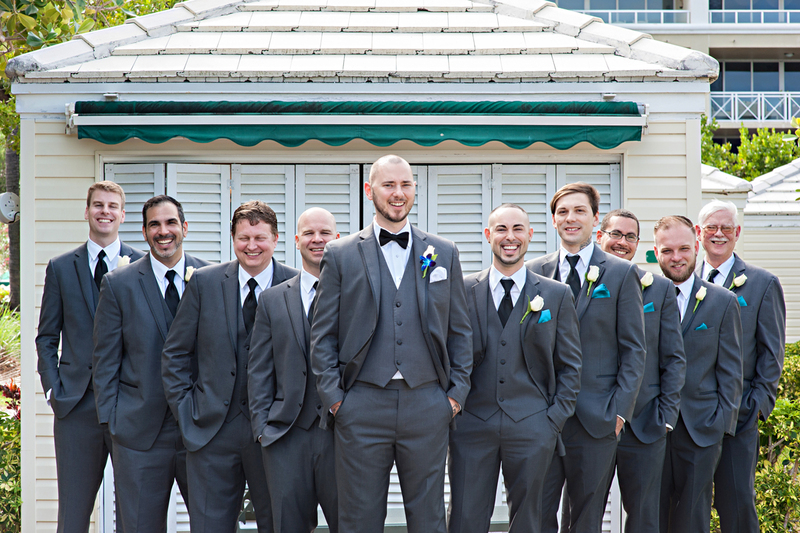 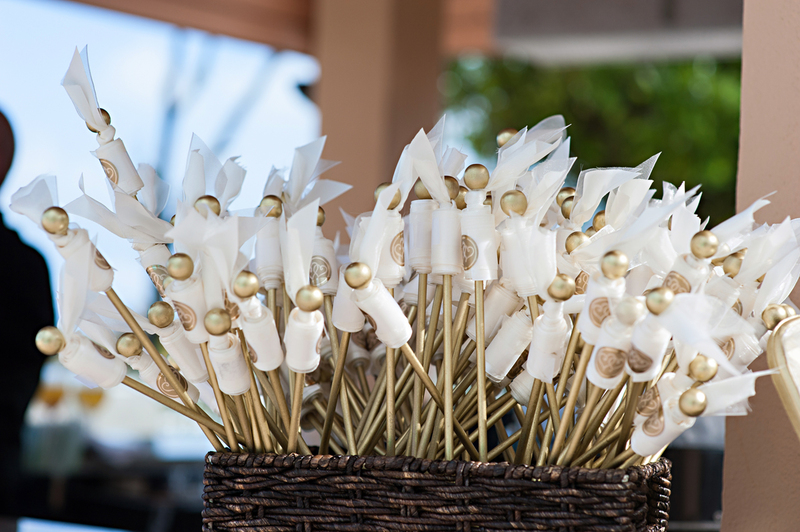 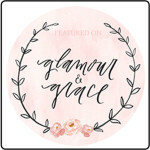 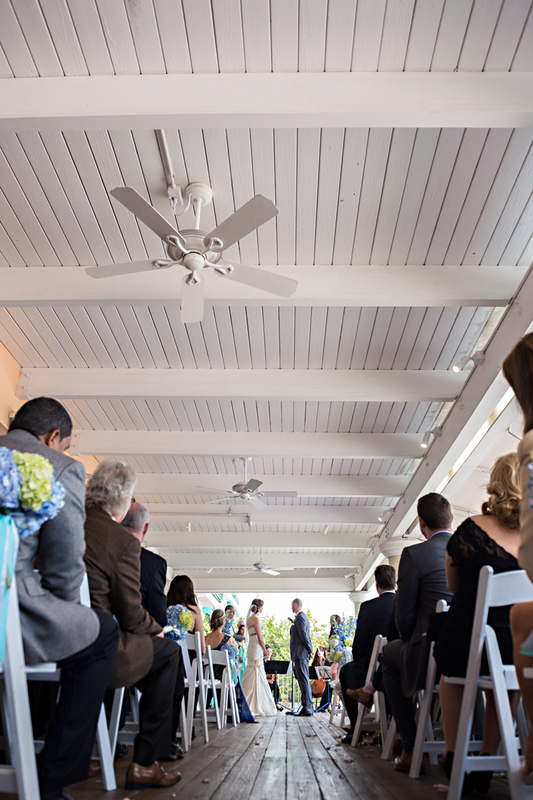 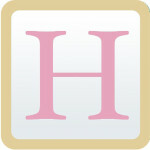 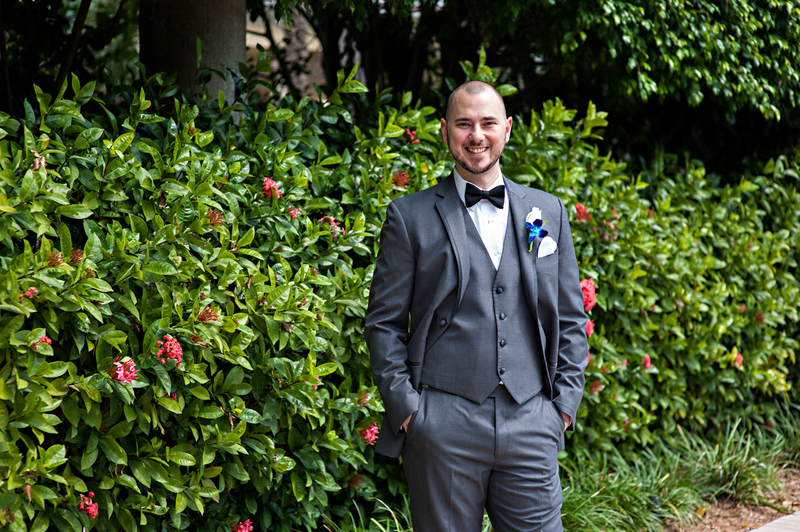 It helped infuse their love of travel into the reception. 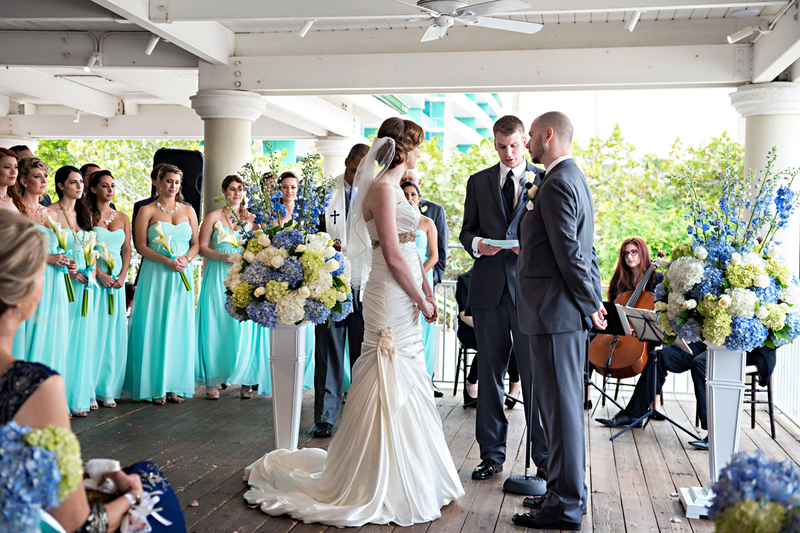 They opted for a live band that rocked until the wee hours of the morning. 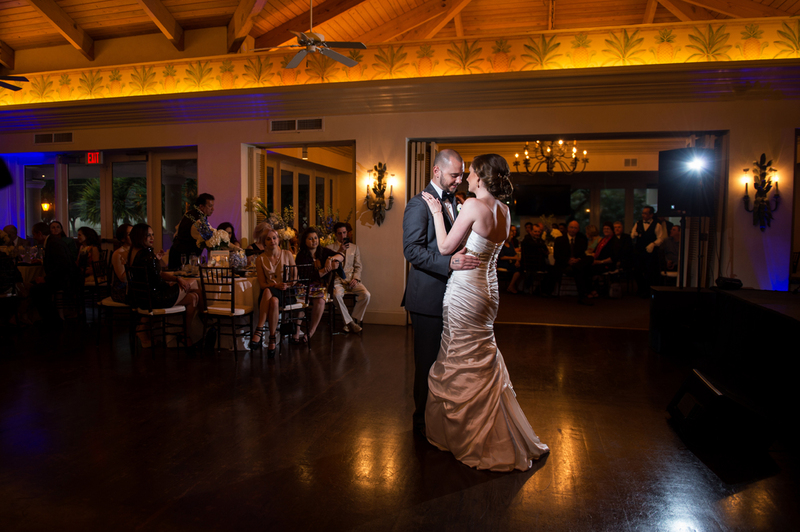 It was truly a fun night.